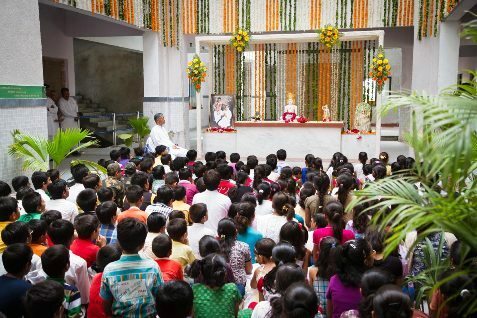 It was Param Pujya Dadashri's bhavna (inner intent) that such a school should be created where not only there would be child's outer development but also inner spiritual development. The seeds sown by him can now be seen in the form of Amba School for Excellence. On 27th may 2012, the inauguration of new building of Amba School for Excellence at ATPL (Amba Township Pvt. Ltd.), Adalaj (Gujarat,India) was done by Pujya Deepakbhai in the presence of all mahatmas (followers). At present there are 350 students studying in the school from standard 1 to 10 . The school runs in Gujarati medium and in the future there are plans to begin an English medium school. The new building has the capacity of 1000 student. 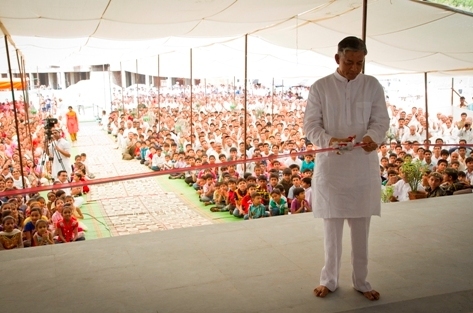 Many parents from the villages around are eager to take admission for their children in this school as they can give their children the best education with values.Â In addition, children will also learn about Param Pujya Dadashri's science; Akram Vignan which will help them in their life. The program ended with an informal session where children of various standards asked questions to Pujya Deepakbhai about his school life.